On election night/morning, I was up way too late (or early) basking in the glory that was the Trumpening, when I was pinged on Facebook Messenger by a friend who was also up way too late (or early). We discussed our various states of happiness and satisfaction at seeing the smug wiped from liberal commentators’ faces live on TV. It was a glorious evening, but my friend was also hopeful that this would change the direction of my posting. In other words, my blog, in regard to political matters, had gotten way too depressing; decline, doom and gloom…it doesn’t make cheery reading sometimes, and I couldn’t argue with his point. In fact, I had recognized that myself. Although I’ve loved arguing and discussing politics, for the past two years I’ve mostly stopped bringing it up around company simply because I’ve recognized that I don’t have very much hopeful to say, and even I don’t want to hear the same doom and gloom. Of course, if someone else brought up politics, then I had no problem contributing to the discussion figuring, “Eh, you asked for it.” But I knew that there was no point in me bringing it up or discussing it when it did nothing but make me a buzz kill. Besides, there were other things to talk about. But if there was anything that should make me hopeful about the future, a Trump victory, against all odds, with a Republican House and Senate should do the trick. And although there are plenty of negative things I could write about what that might mean, I think I owe myself at least one positive post on what a Trump administration could mean for arresting American Decline. My central thesis on Democratic politics over the past couple of decades, and what’s wrong with American politics, goes back to Identity Politics. More and more we’re voting by tribe, rather than on issues. With the major defeat Democrats have suffered, some of them are being introspective and are trying to see where they went wrong. In The New York Times, The End of Identity Liberalism, explores whether Democrats had gone too far in dividing, and then buying votes, by identity. “…But how should this diversity shape our politics? The standard liberal answer for nearly a generation now has been that we should become aware of and “celebrate” our differences. Which is a splendid principle of moral pedagogy — but disastrous as a foundation for democratic politics in our ideological age. In recent years American liberalism has slipped into a kind of moral panic about racial, gender and sexual identity that has distorted liberalism’s message and prevented it from becoming a unifying force capable of governing. So I think it’s fair to say that the white working class did notice that they were excluded from Hillary Clinton’s America. Not only did they not count, they were considered part of the problem. Some Democrats went even further and felt White Men were a problem to be dealt with. If you are promising a Caucasian Kristallnacht, that’s not a way to win votes; at least white working class votes. But this was no bug in the Clinton election machine; this was supposed to be a feature. The Obama 2012 re-election campaign explicitly excluded White Males as part of a re-election strategy. Clinton planned to simply copy what worked with Obama; a coalition of the fringes implicitly against White Men. I don’t think the Democrats current soul searching on identity politics will last long. Already they are considering Congressman Keith Ellison, 9/11 Truther, a far left ideologue and Muslim for DNC Chairman, Ellison is, as they might have said on 30 Rock, is a “two-for.” Whether that’s the right choice for a party rethinking its commitment to identity politics is obvious. But that leaves an opening for a Trumpian alternative. It’s not a new idea. Paleo conservatism referred to it as Economic Nationalism, and Columnist Steve Sailer refers to it as Citizenism, or Civic Nationalism. Basically, it’s a governing philosophy that prioritizes Americans and American national interests over more nebulous ideological goals. This of course is much of what Trump stands for, and stands apart from much current Republican or Democratic platform planks. Trade: Trade should serve the interests of American workers. Opening markets is great, but labor cost shopping to set up American factories in other countries to dump the more expensive labor costs of the US, only to turn around and import those manufactured goods back to the US tariff free. Immigration: The goals of US immigration policy should be to benefit American workers. It’s not to ease the unemployment problems of other countries (Mexico) or to provide coolie labor to American corporations (Indian coders) so they can fire more expensive American workers. Foreign Policy: The goal of US foreign policy should be to advance US national interests, not to subordinate those interests to other nations or groups of nations, i.e. “the world.” Although often the goals of the world and the United States may coincide, like the Gulf War. Other times, they won’t, such as in Kosovo and Libya (and Syria could be added to the mix). These are all policies that in theory should be attractive to the working and middle classes across all cultural, ethnic, or racial lines. In a rational political culture, people would tend to vote their class interests. However the US, in the throes of multi-cultural nonsense and identity politics people tend to vote their demographics. Not in a perfect sense, and in the US in the 21st Century, your identity group isn’t simply “blood, soil, and gods.” It can be your sexual orientation, your gender identity, or if you view yourself as “elite” or not. But in modern America, your hyphen in most cases outweighs your identity as simply an American. In other words, as I’ve said before, race may or may not be a social construct, but being white definitely is. So everyone can be white! ”The White House is putting forward a proposal to add a new racial category for people from the Middle East and North Africa under what would be the biggest realignment of federal racial definitions in decades. If approved, the new designation could appear on census forms in 2020 and could have far-reaching implications for racial identity, anti-discrimination laws and health research. The Census: Get rid of the Hispanic category. It serves no useful purpose and serves a lot of dangerous ones. It’s a pseudo racial category that’s an attempt to keep anyone from a country where Spanish is the dominate language in the same downtrodden group, from a classics professor from Barcelona to an illiterate Guatemalan peasant. Although these are ultimately political decisions, I would trade having a Mestizo category in order to get rid of the Hispanic category. At least Mestizo’s can arguably claim to be sort of a racial category. Obviously I would oppose adding a separate Middle Eastern category. Promote the Mainstream: I think O’Sullivan really hit on something when he suggested that white America is really mainstream America. So maybe it should just be referred to that way, in words and speeches, the goal is bringing everyone into mainstream America. Junk Affirmative Action: Affirmative Action has been a very effective tool in splitting up the country. “Diverse” vs White People. This is the pivot that has created the current social situation where the Democratic Party is partly defined in opposition to white people. Middle Easterners would be a lot less interested in defining themselves as non white if they were not able to take advantage of minority small business loans and other affirmative action programs. Take away the giveaway advantages of being non white and people would be less interested in defining themselves that way. At least for the near term, I would still keep affirmative action for African Americans and Native Americans. At least those two groups can plausibly claim historic discrimination that’s damaged current prospects, something that other ethnic categories can’t plausibly claim. A combination of these political and social planks could create a governing platform for a new governing majority in America, mainstream Americans. Of course this hinges on how successful a Trump Presidency is. Considering how improbable a Trump Presidency was in the first place, I’m going to bet on continued winning. It’s worth looking back to try to understand why I got my Presidential Prediction so wrong. I take no comfort that virtually every Pundit and pollster got it wrong. After all, they don’t care, are usually wrong anyway, and have no record to protect. I do have a record, and it’s been a pretty good one until November 8th. Not that I’m complaining mind you. I’m (still) over the moon at The Trumpening. Election night was like a dream, and as the kids say, a dream is a wish your heart makes. By the way by “kids” I’m not referring to millennials, I mean actual little kids. “Trump is deliberately using language that can be construed in the worse possible way in order to generate publicity. With decades of experience at being a celebrity, he has taken to heart the publicist adage that there is no such thing as bad publicity. And in terms of generating publicity, he’s been an outstanding success if you count it by minutes of airtime or lines of copy in print. Certainly there would have been zero media coverage discussing poor decisions by the Obama administration leading to the creation of ISIS without Trump. Getting those issues out there and forcing a hostile media to talk about issues they don’t want to discuss is also a success. But something happened in the final few weeks of the campaign. Trump started taking my advice (well…delivered by Kellyanne Conway). He did stop attacking other Republicans, he stuck to prepared speeches, and somehow, someone got hold of his phone and locked him out of twitter. All things that started to allow Trump to start rising again in the polls. For sure, there were outside factors that helped too. FBI Director Comey reopening the email investigation for half a minute was too much for some wavering Clinton voters to handle. The fact that he closed it again almost as soon as he reopened it didn’t fix the damage. Even the Clinton campaign realized that. So what made Trump change direction and start doing things he should have been doing ever since the Republican convention? I can only imagine that he finally realized that he was close to becoming a loser, the worst thing imaginable in Trumpland, and Conway and other assorted advisors were giving him a pathway to avoid the hated L word. The Return of the War on Women: It wasn’t really called that this year, but in the pearl clutching, fainting couch department, it was 2012 all over again. Where Romney was portrayed as insensitive and clueless when it comes to women, Trump has been portrayed as a sexual predator. The failure of the typical War-on-Women attacks in 2014 lead many Republican “thinkers” to believe that it was an expired tactic, but that’s really just a reflection of the difference in the electorate that shows up in Presidential year elections and non Presidential ones. I predict that in 2018 Republicans will once again declare the War-on-Women tactics dead, and then be surprised when they work like a charm in 2020. Power over Principles: Ideology barely made a single campaign stop in probably one of the most ideology free Presidential campaigns in my lifetime. The Democrats have long espoused a policy, modeled off of Samuel Gompers’s famous quote, of “more.” The Democratic coalition has long been a “more” party, rather than an ideological party; as long as that “More” comes from the other guys. That’s been Democratic Policy for decades, but the shift of some #nevertrump holdouts as the election neared showed that no matter how you want to slice it ideologically, there are two broad coalitions in American politics, a generally left leaning extraction coalition, and a generally right leaning production coalition. How else to explain that the same anti war crowd that voted for Obama based on his promise to leave Iraq now voted for the candidate that promised to confront Russia, militarily if necessary, to establish a no fly zone in Syria? I’m quite the prophet! So the economy and public policy proposals (except on the Trump side) were minor accessories to this year’s election, not the central focus as they had been in the past. But we’re a different country now so tribe is more important than policy. Meanwhile, Trump won about 60% of the white vote although I think these numbers understate that. Hopefully there will be better data in a few weeks and I’m betting it will show a much higher percentage of the white vote. That’s the only way I can figure that Trump won such a large victory and won so many previously out of reach states when the percentage of the white vote dropped 2% from 72% in 2012 to 70% in 2016. Although Trump won a higher percentage of both the Black vote and Hispanic vote than Romney did, that just doesn’t give you the margin of victory that Trump managed. As an aside, that 2% drop in the White electorate every four years seems like a good rule of thumb to calculate how much more of the white vote Republicans will need to win in the future to be competitive. Some liberal wag on twitter made the comment last night that the white working class finally started voting like a minority. That’s the future, love it or hate it (I hate it personally, but I didn’t bake this cake). Policy loses to Persuasion: Dilbert writer Scott Adams has distinguished himself as the preeminent political prognosticator of this election. 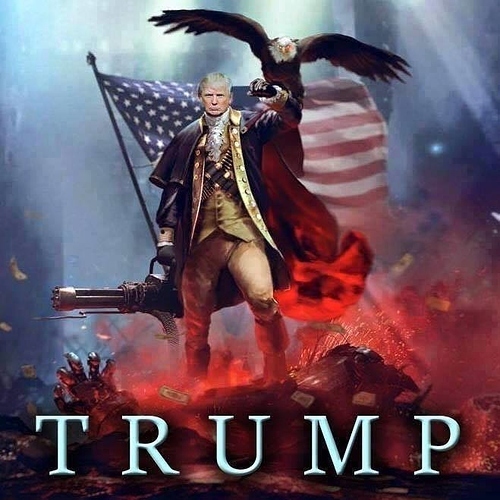 Adams predicted a Trump landslide in 2015 and has been following up on the campaign at his blog, which has turned out to be the most accurate site on Trump for the duration of the campaign. Adam’s experience in the techniques of persuasion gave invaluable insight into why stupid things that Trump said weren’t stupid at all, they were deliberate attempts to create an imagery and mood and how to feel about something. Once he had tagged Jeb Bush as “low energy Jeb” you couldn’t help but analyze his speech and the way he physically handled himself to see if he was “low energy.” Brilliant! All of Jeb’s 100 million dollars couldn’t save him after that. I’m sure I’ll have other observations about the election and I’ll post them as they come, but the Trump victory is really making me look forward to Thanksgiving Day dinner conversation. I intend to make Thanksgiving great again! Back in August I predicted that Trump would lose to Clinton, and even further back, in 2014, I predicted that Senate would go back to the Democrats. Instead, Trump smashed down the gates of the establishment, winning the Presidency with (as of this writing) 279 electoral votes. I also predicted that Florida would go Democratic this year. I was wrong about that too. Instead, this Black Swan Event totally disrupted the polls and the process. How sure was I that Hillary Clinton was going to win? Last weekend I wrote a totally different draft version of this post, one that made the assumption that Clinton would win: one that would be ready to publish as soon as the networks called the election. I didn’t even bother to prepare an alternate version. After all, Clinton had been leading in the polls most of the year, and in that way it resembled 2012 or 1996. The polls would have to have been totally wrong in order to get another result. “2016 is the Flight 93 election: charge the cockpit or you die. You may die anyway. You—or the leader of your party—may make it into the cockpit and not know how to fly or land the plane. There are no guarantees. Basically, the country is declining, which is an argument I’ve been making for years. I don’t believe any other Republican candidate could have won this year. The Republican brand is trashed and only a Republican who has an identity of something other than a Republican, like Trump, could have fought through that. That eliminates almost any other “normal” candidate. Normal has not been working for a while. So the question has to be asked, does this mean my basic thesis, that our politics is becoming more tribal and based on identity politics wrong? I think it actually confirms it. I’ll be curious to look at more hard data on the demographic breakdown as it’s released in the days ahead, but winning Ohio and especially Pennsylvania, which last went Republican in 1988, shows that Trump did exceptionally well with the white working class. Trumps version of the Sailer Strategy, which is that Republicans should go after the white vote in the same way that Democrats go after the Black or Hispanic vote, appeared successful. Although I don’t think that was an intentional racial appeal on Trump’s part, when your platform reflects the concerns of the white working class, the results will be similar. As Lee Kwan Yew, the late former President of Singapore noted, “In multiracial societies, you don’t vote in accordance with your economic interests and social interests, you vote in accordance with your race and religion.” That’s been the trend in the US for a generation; everyone is bunching up according to their identity group. The last people to recognize that was happening were the Republicans. I think at this point, they’ll have to learn to accept and deal with that reality. So it looks like the passengers were able to rush the cockpit and grab the controls, but it’s not clear yet if they can land it. ABC News had an interesting story yesterday about a hacker group called “Shadow Brokers” releasing information related to the National Security Agency loss of some of it’s most closely guarded hacker tools. “A group calling itself “Shadow Brokers” says it has released another gem from its trove of high-level hacking tools stolen from the U.S.’s National Security Agency, potentially offering added insight into how America’s spies operate online. That seems to tell me that intimate knowledge of these hacker tools have been out there since Snowden defected. Glenn Greenwald may not have published the details in The Guardian, but I’m sure whatever laptop he kept Snowden’s data on was a target of every intelligence agency in the world, so the entire worldwide intelligence community must have been aware of some of the specifics of these hacker tools for years. And then, somehow, these tools got released. That gets kind of cloudy. It was revealed publicly a few months ago that not only had the hacking tools been leaked, but that it may have been due to carelessness. At this point, maybe it’s time for the NSA to wear a dunce cap and sit in the corner? Now I wonder what else happened in the intelligence community three years ago? That’s right, that’s when Snowden defected. Now at seems a bit of a coincidence to me that at about the same time Edward Snowden began his ‘round the world defection tour that in a totally unrelated incident, some random NSA employee loses a laptop containing some of the most valuable hacking software in the world. 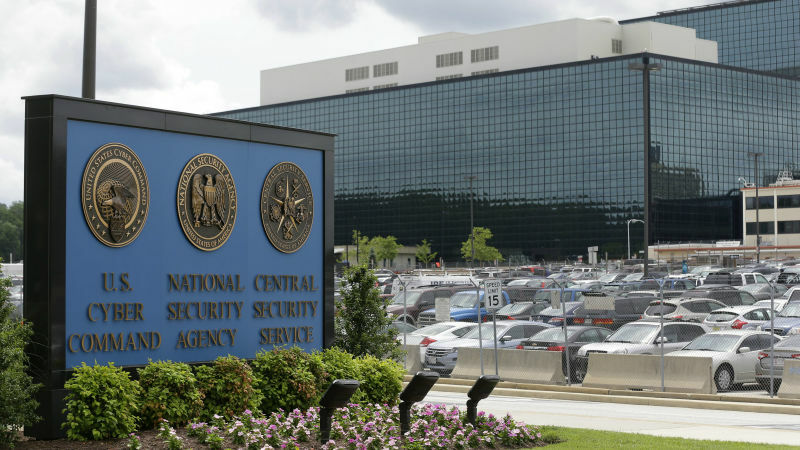 “Investigators pursuing what they believe to be the largest case of mishandling classified documents in United States history have found that the huge trove of stolen documents in the possession of a National Security Agency contractor included top-secret N.S.A. hacking tools that two months ago were offered for sale on the internet. So this is why I’m confused. The FBI is trying to make a case that Martin sold or tried to sell NSA hacking tools to the Shadow Brokers hacking group; the same hacking tools that were inadvertently lost three years ago? The tools were lost three years ago. The FBI thinks that Martin sold them to the hacker group, and per the ABC article, everyone agrees that the hacker group Shadow Brokers does have the hacking tools right? Somebody can’t keep their story straight. Did the Shadow Brokers get the tools from the loss from three years ago or from Martin more recently? And is Martin that good that if he did sell the tools, he left no tracks, including payment? Since he’s sitting in jail, facing a lifetime of more of the same, it would seem that he would have an incentive to cut a deal. When the after action on Snowden’s stolen material was reviewed, it becomes clear that a technical manual that has specific information about the NSA hacking tools was part of Snowden’s stolen intelligence material. Greenwald never published it, no doubt because it was technical and he had no idea what it was, but just having it in his possession made the material vulnerable since Greenwald became a target for every intelligence agency in the world once it went public that Snowden gave him all of his ill gotten gains. So the information on the hacking tools is out there, even if the tools themselves are not. But there is no doubt enough technical data that would make it possible for a sophisticated intelligence service to perhaps identify and defend from those particular tools. So maybe, just maybe, the NSA wants to muddy the waters a bit by “losing” their tools, only to be found by a hacking group which then brags about having them and uses them to intrude into systems worldwide. So…what if the tools were never lost, or stolen by Martin? What if it’s an elaborate setup to create a black hat hacking group, that can be the fall guy for failed or identified computer systems intrusions? Since the technical manual stolen by Snowden is out there, that means the useful shelf life of these hacking tools are limited, so an entirely new set of software has to be created, but that takes time. In the meantime, there is a fall guy for failed or identified computer intrusion operations, the Shadow Brokers. Wouldn’t it be ironic if the Shadow Brokers are nothing but a creation of the Shadow Factory? Do I think this is likely? Sadly no. It’s more hope than anything else. Or it’s a good episode of The Blacklist or Scorpion. But I would rather believe that as opposed to the alternative public explanation that not only did the NSA lose information on almost every major intelligence program to Snowden, but that it lost the US technical edge in cyber warfare to an accident.